Oil futures finished Friday with a modest loss following news of a monthly climb in production from OPEC but ended April with a monthly gain of nearly 20%, according to Bloomberg MarketWatch. The ride wasn’t a smooth one and volatility will likely prevail in the weeks to come as traders navigate conflicting clues on the outlook for crude. Prices found support early in Friday’s session from a drop in the U.S. dollar to its weakest in about 11 months. They turned lower after separate media surveys showed a monthly rise in OPEC crude output, then pared most of those losses after data showed a sixth straight weekly decline in the number of U.S. rigs drilling for oil. “There certainly seems to be a lot of factors pressing on oil prices, yet they keep finding new legs,” said Kevin Kerr, managing editor and executive publisher of Commodities Watch. West Texas Intermediate crude fell 11 cents, or 0.2%, to settle at $45.92 a barrel on Friday’s New York Mercantile Exchange. For the month, prices finished roughly 19.8% above the $38.34 front month contract settlement on March 31. On its expiration day, June Brent crude shed a penny to $48.13 a barrel on London’s ICE Futures Exchange, with prices seeing a monthly gain of more than 21%. 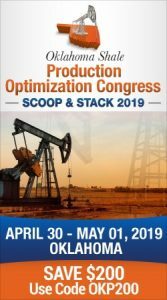 “On a fundamental basis, the lack of any type of real cut in production, and a seeming indefinite impasse within and out of OPEC would strongly point to lower prices,” said Kerr. But “technically, the charts remain bullish,” with upside capped at around $62 to $65 a barrel. The first half of the month saw traders focused on expectations that major oil producers, including Saudi Arabia and Russia, would reach an agreement at an April 17 meeting to freeze their crude production at January levels. They failed. The talks failed to produce an agreement, prompting some analysts to forecast a drop to $30 within days. Instead, after a brief decline, oil made new highs. Bullish traders looked for the global glut of crude inventories to subside on the back of continued declines in U.S. output and rig counts, strong gasoline demand and a three-day strike by oil workers in Kuwait that trimmed the nation’s production. Then, an OPEC official raised the possibility that the cartel will bring up the output freeze topic again at its June 2 meeting in Vienna. Adding even more confusion to the oil mix, news report earlier this week said that Saudi Arabia’s state-owned Saudi Arabian Oil Co. was poised to complete the expansion of its Shaybah oil field by the end of May, boosting its capacity to 1 million barrels a day. That would contribute more oil to the worldwide glut. Around the time of that news, Saudi Arabia also announced an economic reform plan aimed to steer the country away from its dependence on oil. Still, there are some convincing signs that point to higher ground for oil. The “overcapacity on the supply side is shrinking rapidly while demand-wise, big players like China are stepping up their purchases,” said Nico Pantelis, head of research at Secular Investor. China’s crude imports in March were the second highest on record. 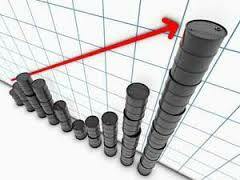 U.S. government data on Wednesday revealed a seventh straight weekly decline in total domestic oil production. At 8.938 million barrels a day, it’s down nearly 1 million barrels from the 9.22 million it was at for the week ended Jan. 1. June natural gas settled at $2.178 per million British thermal units, up 10 cents, or 4.8%, with warmer weather forecasts kicking up cooling demand, said Flynn. For the month, tracking the most-active contracts, prices were up over 11%.